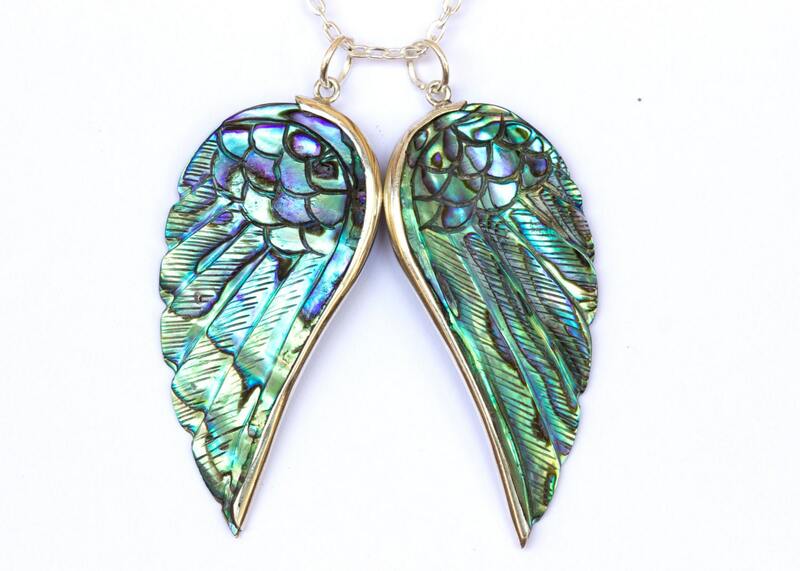 Price is per one pair of Abalone wings (no finish). One of our most beautifully crafted pieces. The magical Abalone Angel Wing is the perfect piece for you angels and sea sirens. The Angel Wings represent the angels and guides that bring light to our lives everyday. Promoting protection, love and guidance. The wings measure 1.75 inches (4.5 cms) from the top to bottom and 1.5 inches wide (2cms) each. The chain and bails are sterling silver.